It was the trial that defined a generation. 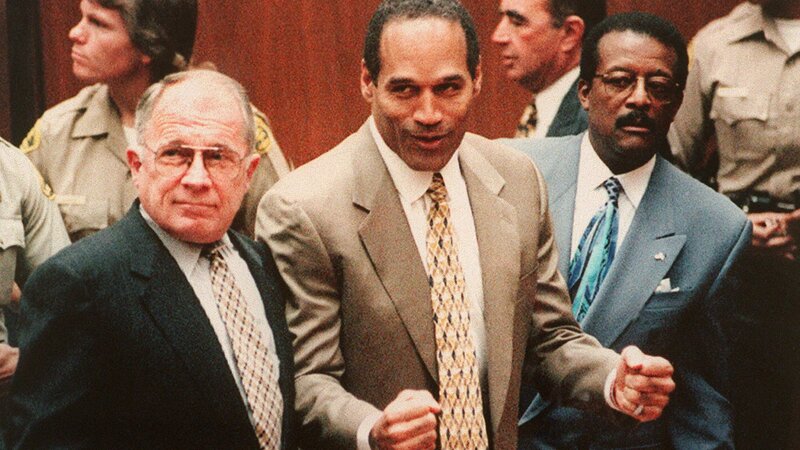 Challenge everything you think you know about the trial of O.J. Simpson in a riveting new six-part docu-series Is OJ Innocent? : The Missing Evidence. Narrated by Emmy Award-winning actor and activist Martin Sheen, and featuring exclusive new interviews with the families of Nicole Brown Simpson and Ron Goldman, the series follows investigators as they re-open the case that captivated the world, exposing the facts that were overlooked by authorities and questioning and dissecting each pivotal move in the original investigation. From the infamous Bronco chase to updated forensics and DNA data to the examination of a potential murder weapon, each hour-long episode explores new possibilities and theories about what might have really happened on that fateful summer evening more than 20 years ago. A team of investigators re-examines the O.J. Simpson case; they inspect a knife that could be the murder weapon. After examining evidence both old and new, the team questions O.J. 's role in the crimes. The team takes a closer look at Dear's "person of interest". Questions about the validity of the potential person of interest's alibi from the night of the murders. O.J. Simpson has claimed that "if" he committed the murders, he couldn't have done it alone. DNA results from a potential murder weapon are in; the team reveals what they believe really happened that night.